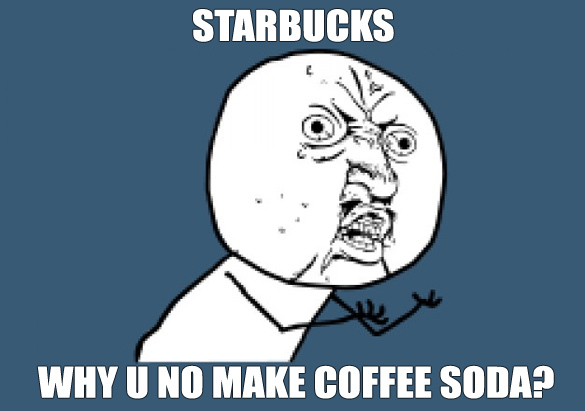 This is still an item promoted at Starbucks, as you can see by the large hand-drawn soda sign pictured here. 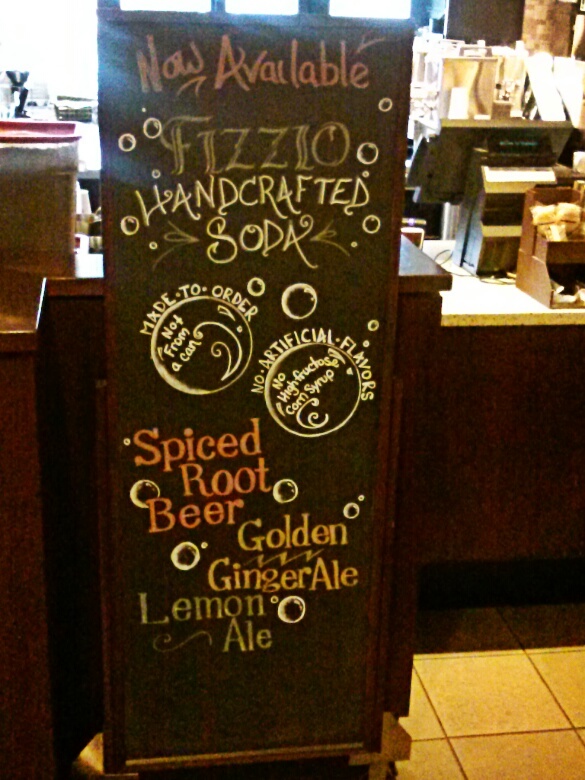 The Fizzio sodas were a new menu item in the Summer of 2013. 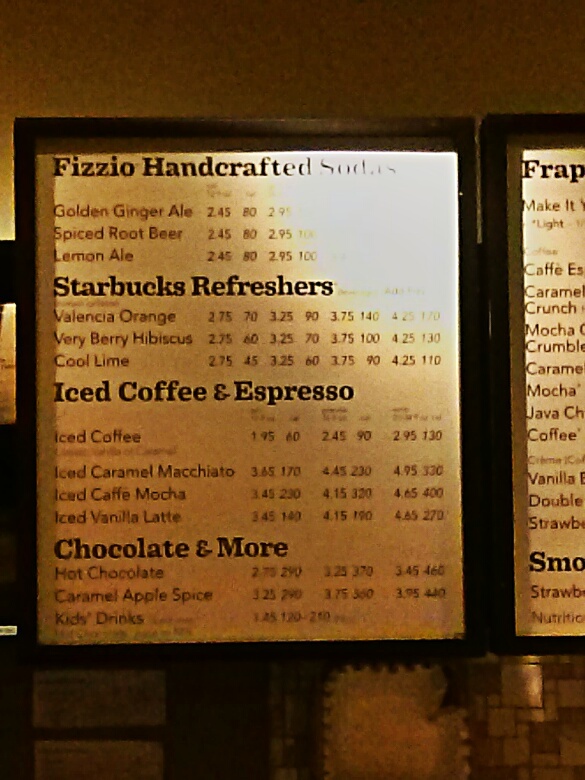 The list of soda flavors are on the sign, and the prices are on the large menu. Quite difficult to get the end of the menu in the picture due to the real bright lights pointing at the soda listings. $2.45 for each flavor at 80 calories. You can see the prices for the smaller sizes of soda. 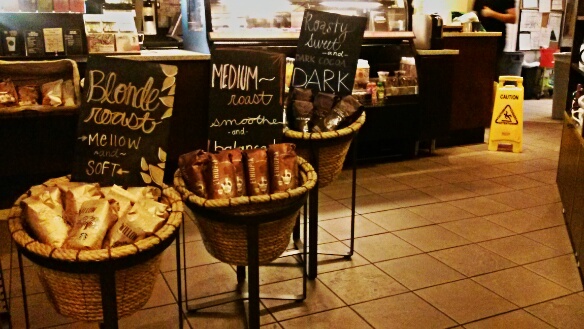 No samples on this visit – ordered a Tall Black coffee, no room for cream please. Below are the baskets of bags of coffee beans.